Small Set Of Related Sites? Google Says Don't Worry. A Google Webmaster Help thread has one webmaster who has three web sites on different domains but the sites are very similar. There is one main company site with "two sites dedicated to two lines of specific product," said the site owner. 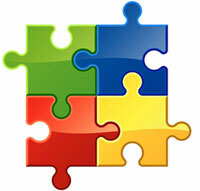 This webmaster wants to tell Google they are related web sites and should treat them as such. When you have a handful of sites like that, I wouldn't worry about Google -- we'll figure it out on our own. Think about what makes the most sense for your users and implement that. Of course, for a larger number of sites and larger sites in general, you may want to help Google along with the cross domain canonical but for small sites, Google says not to worry. It is interesting to see a webmaster talk about these issues because it isn't all that uncommon.